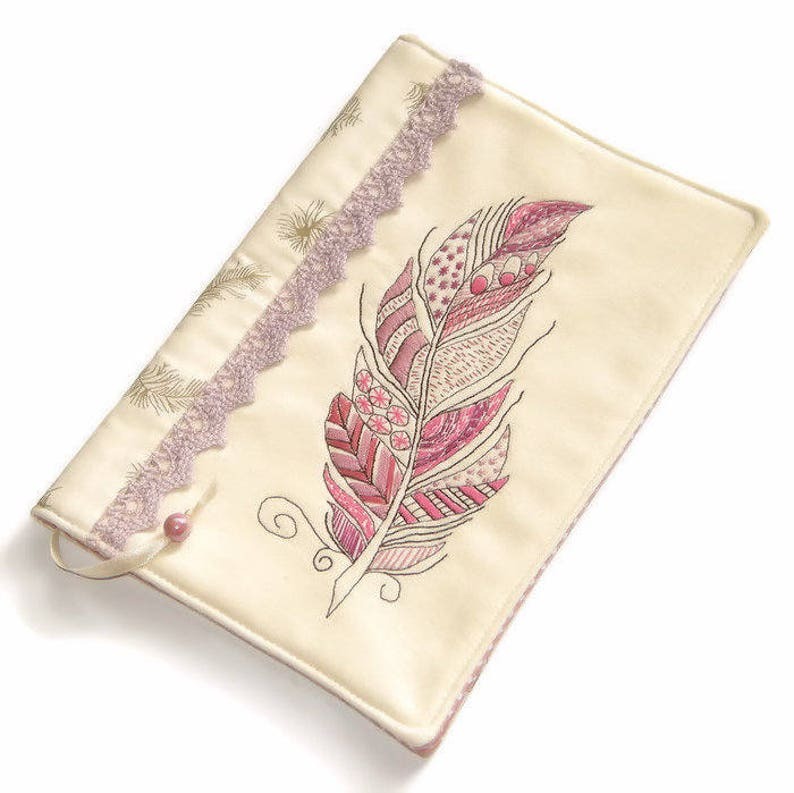 Reusable handmade fabric book cover made of cotton fabrics with embroidered feather decorated with cotton lace. The cover is machine-sewn and hand stitched. All the different colors on the feather are hand embroidered. The cover has a bookmark made of satin ribbon and bead. It‘s lightly padded for structure and durability. And the best part is that it's reusable from book to book.